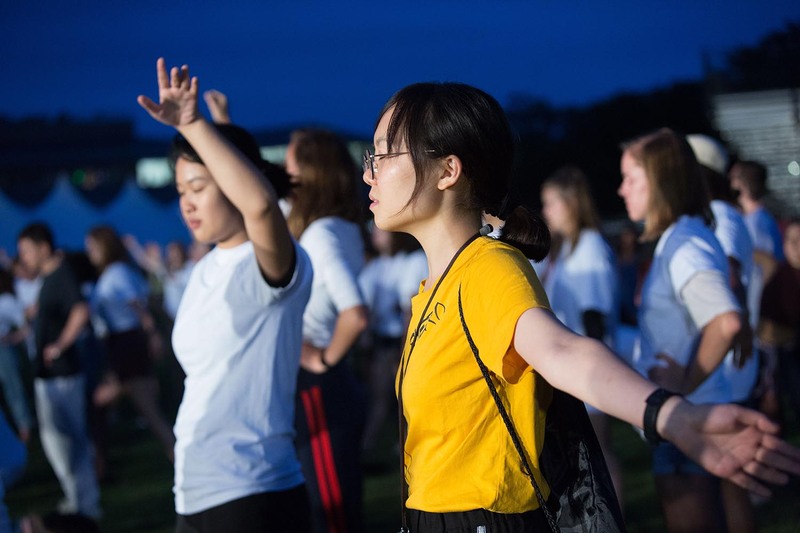 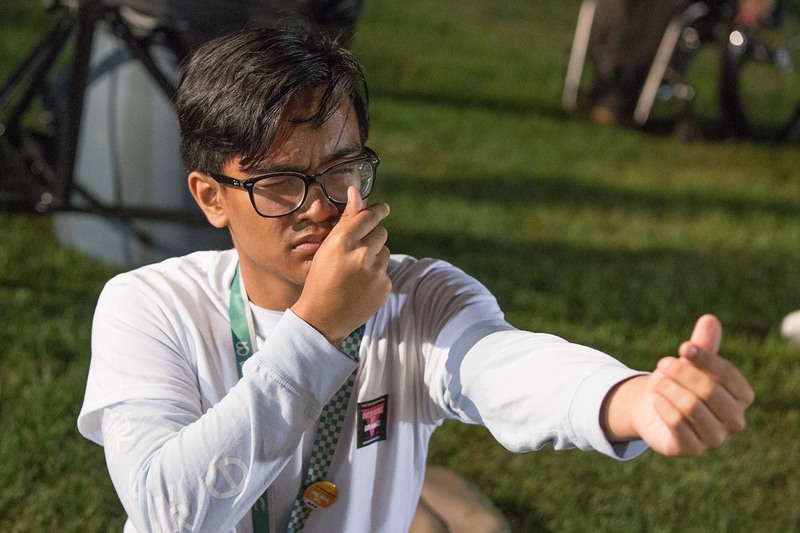 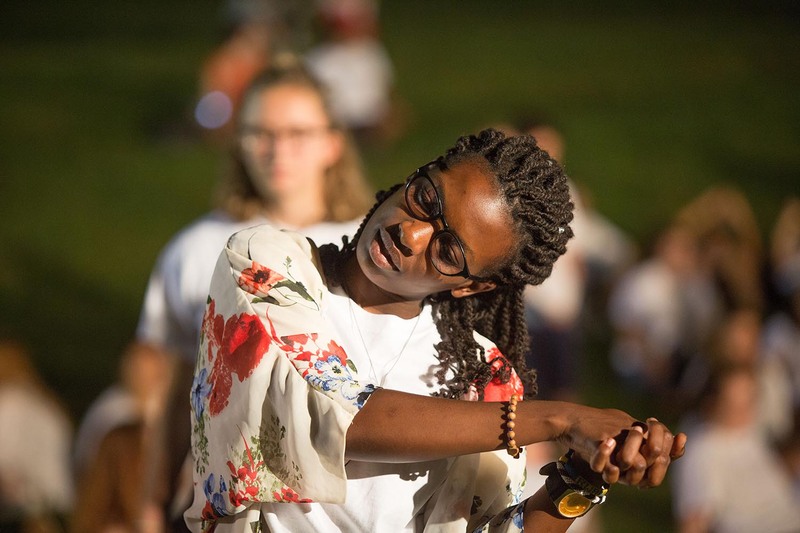 New Student Orientation for the Class of 2022 concluded Aug. 31 with the annual Common Moment, an event where members of the incoming class are brought together through music and performance. 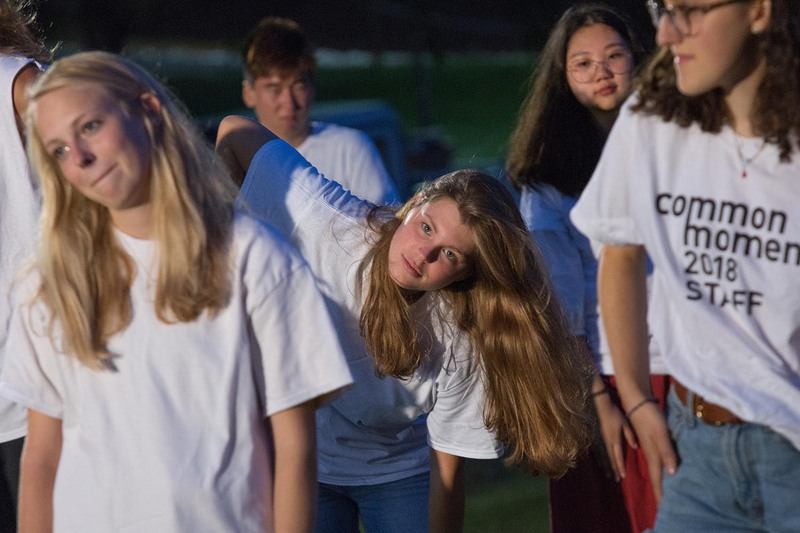 This year, the students worked with choreographer Heidi Latsky to create her installation ON DISPLAY, a performance art investigation of the body and the gaze. 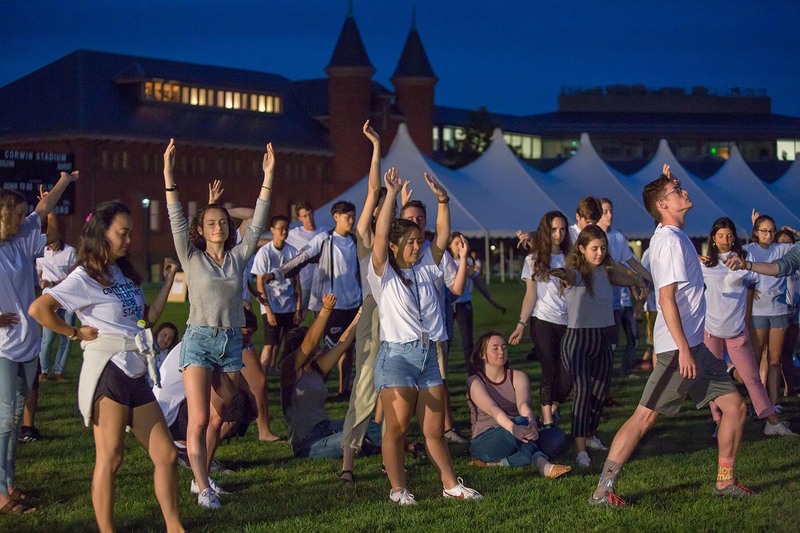 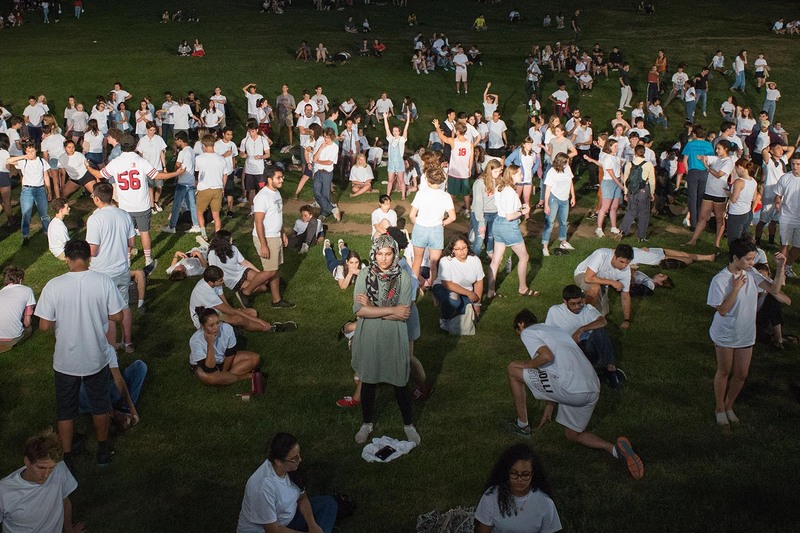 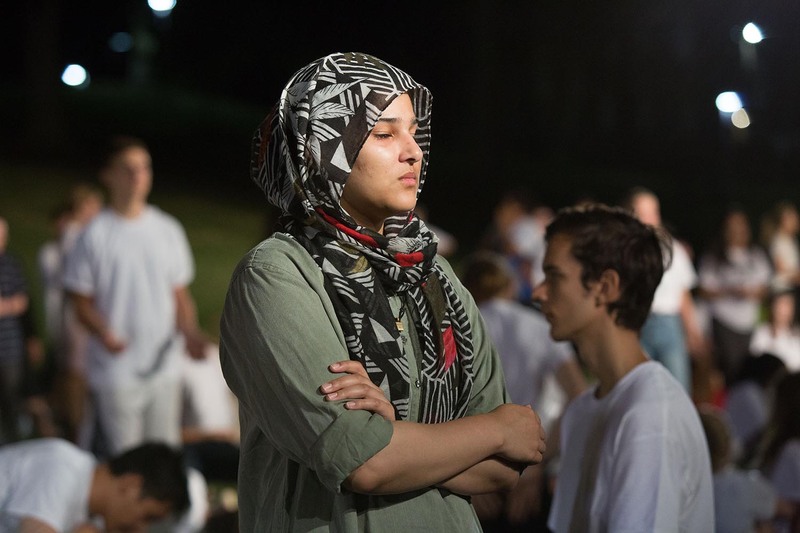 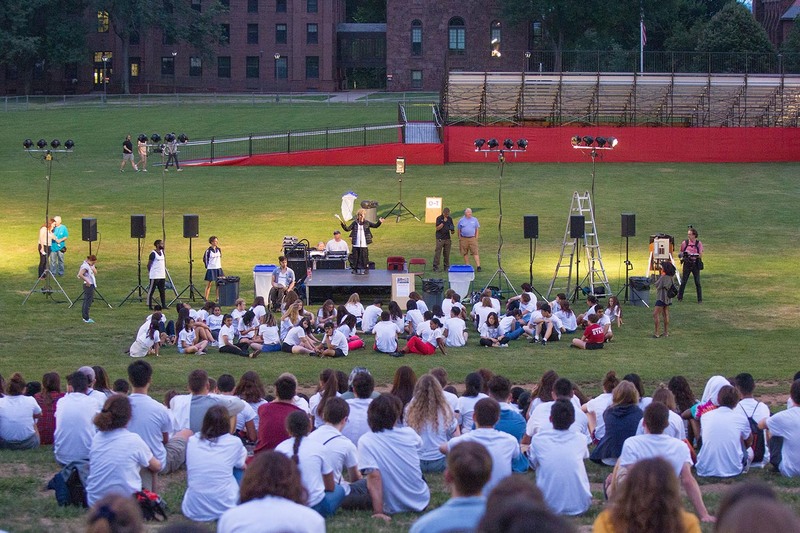 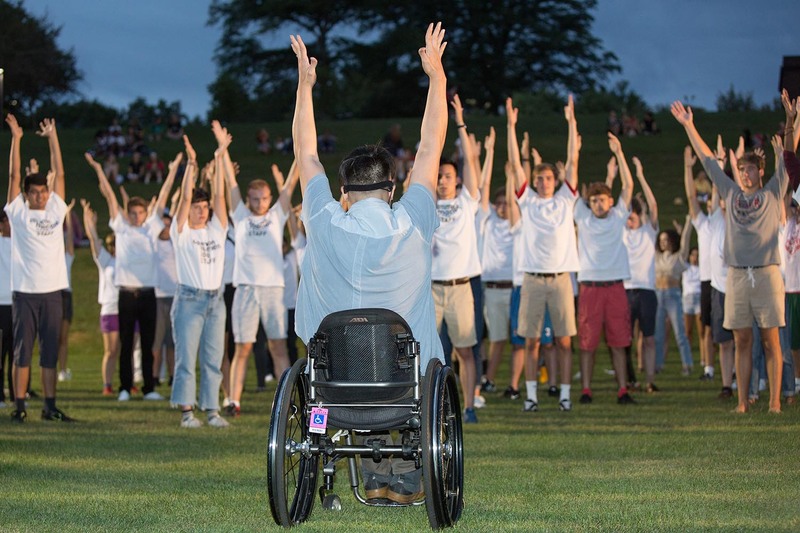 In a large-scale, participatory version of Latsky’s touring work, the first-year students performed the roles of both seer and seen on Andrus Field and discussed their personal experiences of these roles. 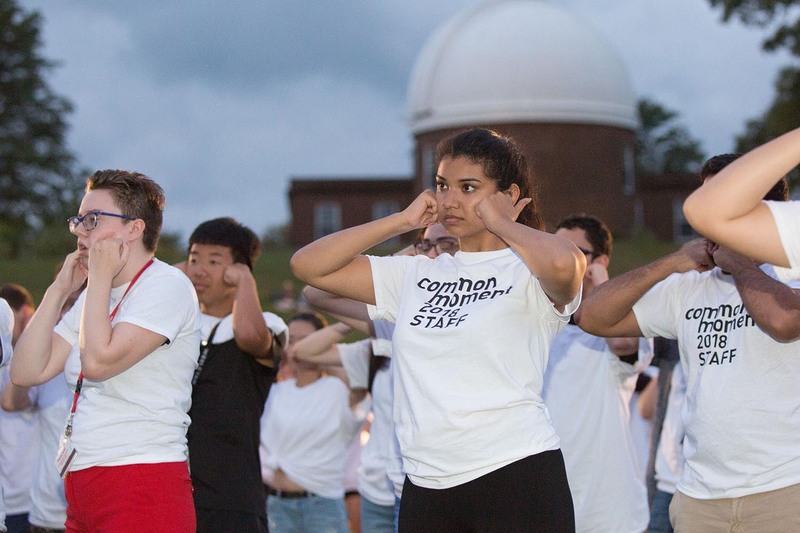 Students were challenged to commit to the exercise without judgment, to trust both their individuality and the group, and to experience profoundly the act of seeing and being seen. 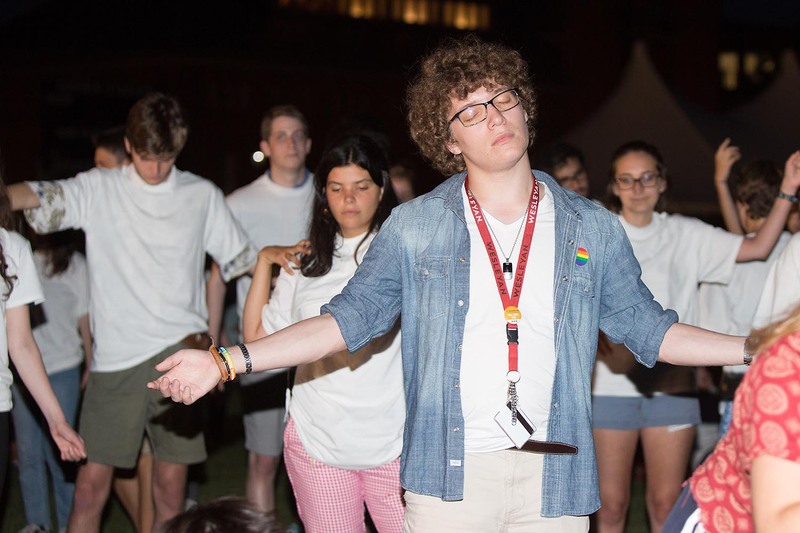 The Common Moment’s theme is tied to Wesleyan’s First Year Matters program, through which first-year students are collectively reading A Body Undone by Christina Crosby, professor of English, professor of feminist, gender, and sexuality studies. 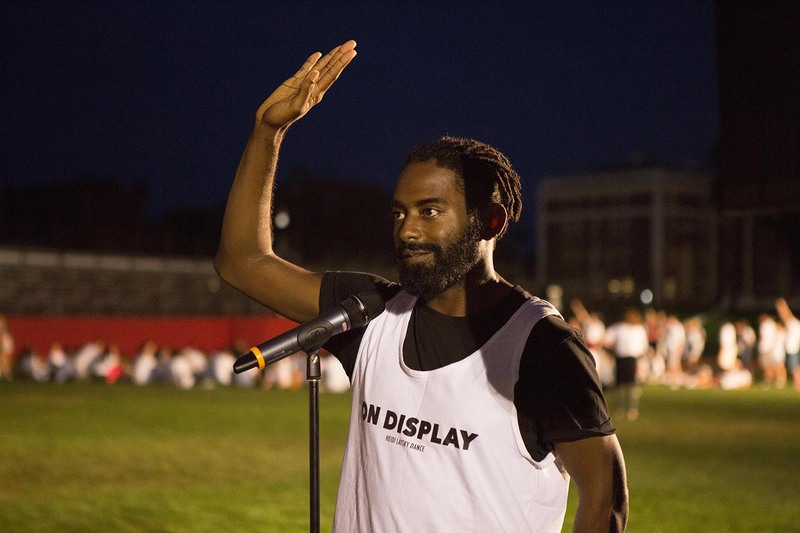 ON DISPLAY relates not only to Crosby’s narrative about body and ability but also to the near-universal process of constructing/curating a self-image for the gaze of social media. 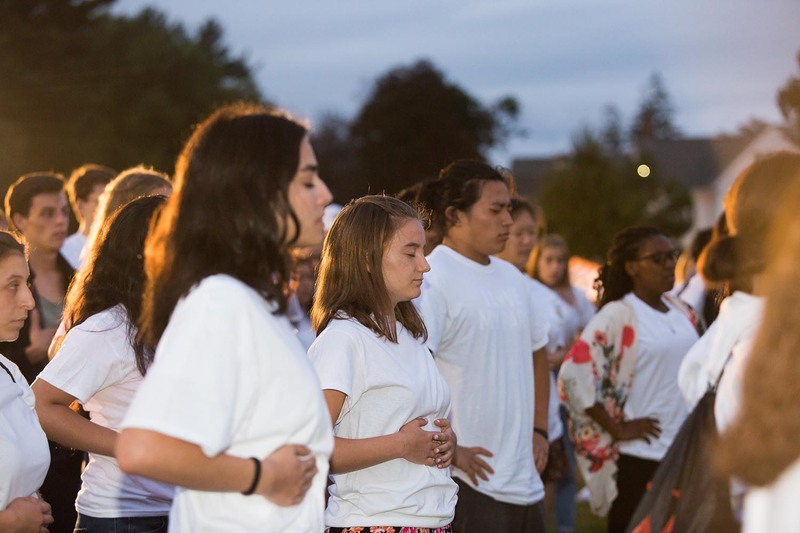 The event was cosponsored by the Center for the Arts, the Office of Equity and Inclusion, and Office of Student Affairs.